This is a follow-up to my original post on this subject (HERE). I decided to do a follow-up with more current online resources. This is more of a revision or refining of the initial post. Also my ideas on this have evolved as I've introduced more players to the genre. I may do an expanded break down of some of the films or categories in future posts. Because wuxia is a niche genre (at least where I live in the US), I think chances are high you will have players who are not familiar with it, or have limited exposure to a few notable examples. You can definitely show players over the course of a campaign, what the genre entails, but it also helps if you introduce them to online resources, movies, books and shows. Also, it is important to understand what your take on the wuxia genre is. Certain kinds of wuxia stories probably appeal to you more than others, and if your campaign reflects this, you will want to steer players toward material that reflects your sensibilities. For this reason I grouped movie recommendations by types. I am grouping wuxia by type in this list to make recommendations easier for GMs. Also for GMs, this can be a handy guide for their own inspiration. This is far from comprehensive. There are many classic films like Come Drink With Me or Temple of the Red Lotus that I didn't have categories for. It is mostly films I really enjoy (or in some instances, films that seemed essential to the category). This kind of list is incredibly subjective and many movies can easily fit into more than one category. In my first post I offered a selection of movies worth showing to your players. I think that list is solid, but others have been released since that time. 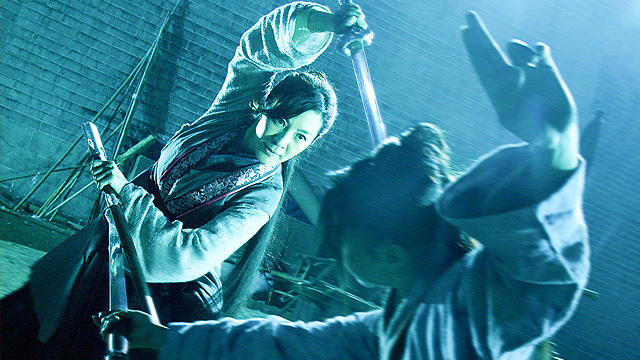 I also decided to compile a list of new movies based on the kind of wuxia they represent. If I repeat anything from my first list, it will be marked with an asterisk. These are the more cerebral type of wuxia film. Most on the list I highly recommend. Personally I have to admit, I did not enjoy The Assassin (2015), so I can't personally recommend it. However I recognize a lot of people like the movie, and it definitely belongs in this category. Since I am assuming most reading this have seen Crouching Tiger, my biggest recommendation here is Ashes of Time (which is really unusual) and A Touch of Zen (which is admittedly slowly paced, but a very important wuxia movie). I would less enthusiastically point to The Battle Wizard and The Journey of the Doomed as other films in this category. These are movies that get into myth, legend and other genres like xianxia. Some overlap with gonzo, but most of these are movies that many would regard as not belonging strictly to the wuxia genre. For example, A Chinese Odyssey is a retelling of the classic novel, Journey to the West. Strictly speaking, many of these are not wuxia movies, but they are easy material to incorporate into a wuxia campaign if you have supernatural elements. This is wuxia that features darker characters and themes. I also fold wuxia with mystery elements here. A film like Duel for Gold is dark because the characters are all pretty much bad people, whereas a movie like Magic Blade features dark and eccentric characters like Devil Grandma. This is just any movie where the hero is maimed or mentally broken. These are movies that feature strong romantic storylines. Some are more focused on the romance than others. Painted Skin and Painted Skin Resurrection could have been on this list as well (but I chose to put them on the fantastic wuxia list). Reign of Assassins could also have gone on the dark list. Wuxia World: This website has a number of full translations of wuxia novels but primarily translates novels from the xianxia genre (and has many active, ongoing translations). Full disclosure: Deathblade, one of the translators at the site, is the writer of Legends of Ogre Gate (a novel set in my Wandering Heroes of Ogre Gate world). Drama Panda: This is a blog that feels more like an online magazine dedicated to dramas. I get most of my news on upcoming drama series from Drama Panda. Full Disclosure: I occasionally post for this site. 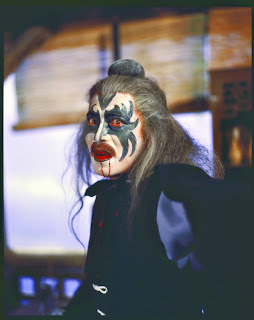 Shaw Brothers Universe: Full disclosure: I occasionally post for this site as a fan. The Wuxia Society: A comprehensive list of fan translations of wuxia novels. Viki and Drama Fever: These are both great ways to watch wuxia series. Drama Fever is available on its own website and through Amazon. Viki is its own site and one of the things I like about it is the comments. People comment on the shows as they watch them (and they appear in the upper corner if you keep that feature turned on. For new players I find it is easier to get them to read stuff in print. Luckily there are two very recent translations I like to recommend. In addition to these there are other translations available in print as well like Fox Volant of the Snowy Mountain, The Book and the Sword, etc. Online translations are widely available. Here there are a wide range of stories to choose from. The ones I include below give a good overview of different writers. But GMs with different preferences might make other suggestions. This is my current list of suggestions for new players. **I do not recommend this movie but I recognize it belongs on this list.